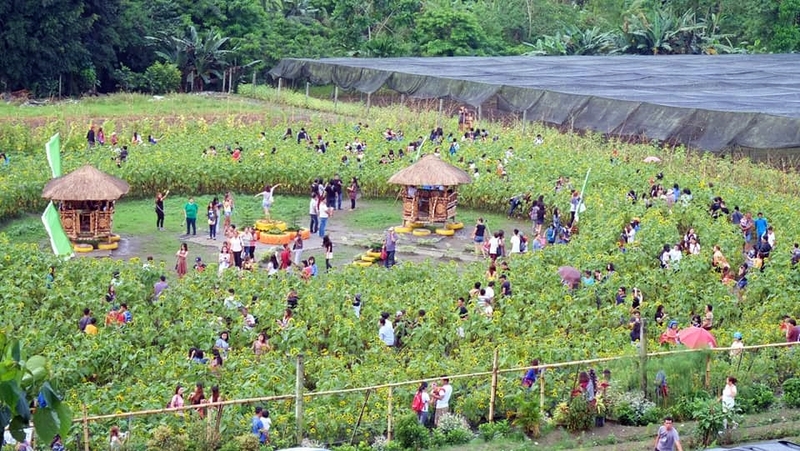 Blooming Petals Agri-Tourism Park became an instant tourist attraction in Tupi, South Cotabato after they opened to the public their Sunflower Farm last May 27, 2017. With the power of social media, the Sunflower Farm became a hit as people flocked to the farm everyday. Check out the video below taken last June 11, just 2 days before the sunflowers were harvested. As of June 14, there were no more sunflowers at Blooming Petals but the farm is still open to the public daily. Aside from the sunflower field that became a hit, Blooming Petals also produces chrysanthemums, anthuriums, roses and various vegetables including lettuces, french beans, red raddish, japanese cucumber, and others. According to their Facebook page, the next season for sunflowers at Blooming Petals Agri-Tourism Park would be on September.